While primarily known for their disco funk hits, Jamiroquai is actually one of the more versatile bands of the pop music landscape of the last few decades. No album proves this better than their sophomore record ‘The Return Of The Space Cowboy’. Sure, there is always a jazzy funk fundament, but what they choose to put on top of that varies wildly, resulting in their most accomplished and adventurous album thus far. Despite its experimental nature, the album is surprisingly consistent. Every song has a solid groove and an irresistible swing. Most of them have very strong choruses as well. In addition, the album has a very pleasant live feel. Jamiroquai would experiment with electronic rhythms to varying degrees of success, but ‘The Return Of The Space Cowboy’ is full of lengthy jams, which transforms even the simplest vamp into a dance classic. This is easily what the band is best at and with all the musicians having different musical backgrounds, a myriad of influences is brought to the fore; not just funk and jazz, but also pop, hints of rock and the odd Carribean touch. As a result of that, every song on ‘The Return Of The Space Cowboy’ sounds different and has an identity of its own. Though the album starts of on a high note with the remarkably complex, seventies Miles Davis-ish nine minute vamp of ‘Just Another Story’, the best material can all be found around the middle of the album. With its propulsive beat, ‘The Kids’ is likely the most aggressive song Jamiroquai ever recorded, ‘Mr. Moon’ is a delicious slab of late seventies funk and the soulful, socially counscious ‘Manifest Destiny’ is the brightest hidden jam in the band’s discography. ‘Scam’, while mainly super funky, has a bit of a psychedelic soul vibe, a genre that really isn’t practiced as much as it should be. Of course, the album is not without its weird moments. The didgeridoo-lead instrumental ‘Journey To Arnhem’ couldn’t really be on any other artist’s album, but as a whole, ‘The Return Of The Space Cowboy’ is an album full of smooth, streamlined grooves. Smooth does not necessarily mean soft though. Sure, there are soft moments, such as the quiet storm-like ‘Morning Glory’ and the latin jazz-inspired ‘Stillness In Time’, but sometimes it’s just a matter of polishing up the raw potential of the band, such as the delightful closer ‘Space Cowboy’. Anyone looking for proof that Jamiroquai is more than just the native American headgear and Stevie Wonder-inspired voice of frontman Jay Kay should look no further than ‘The Return Of The Space Cowboy’. The record is full of excellent interaction between the other band members, with especially bassist Stuart Zender and (at the time) new drummer Derrick McKenzie shining brightly. Jamiroquai would carry on to make singles that were even better than the songs here (‘Deeper Underground’, ‘Runaway’, ‘Cosmic Girl’), but they have yet to make an album full of performances as inspired as on this one. ‘Rock Dust Light Star’ came close, but ‘The Return Of The Space Cowboy’ still stands as a unique entry in Jamiroquai’s discography. When original singer Fish left Marillion, it was considered the end of an era. However, it was also the beginning of a new era. Steve Hogarth, who still fronts te band to this day, has an emotional depth to his voice that Fish just did not have, allowing the band to branch out even further away from the strongly Genesis-inspired neo-prog of their earliest work. Along with its predecessor ‘Clutching At Straws’, ‘Seasons End’ can be seen as sort of a transitional phase. Not because of the singer change between the albums, but because it signals Marillion’s shift towards the most emotional progressive rock created to date. Most of the music had already been written before Hogarth, himself a great composer, joined the band, so it’s not too surprising that ‘Seasons End’ is stylistically similar to ‘Clutching At Straws’. The record has a dark, passionate vibe, with occasional lighter or more upbeat moments keeping the darkness from becoming too overwhelming. The ‘Incommunicado’-rewrite ‘Hooks In You’ is the most obvious example of this, but the opening one-two punch of ‘The King Of Sunset Town’ and ‘Easter’ is remarkably positive as well, even though the lyrical contents – about the turmoils in China and Northern Ireland respectively – are at times quite bleak. As usual though, Marillion shines brightest in their darkest moments. Especially the finales of the original vinyl sides are nothing short of incredible. The moving ‘Seasons End’ has been built upon a haunting clean guitar line by Steve Rothery – who still has the most beautiful clean guitar sound in the world – and features bone chilling performances by both Rothery himself and Hogarth. Closing the album is ‘The Space…’, Hogarth’s first major compositional contribution to Marillion along with ‘Easter’. This synth-driven masterpiece works its way through multiple climaxes and features some incredible vocal work. 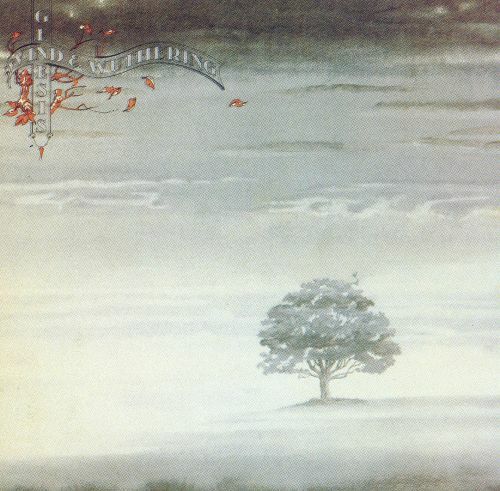 Despite those closers being the undisputed highlights of the record, most of Marillion’s albums are remarkably consistent and ‘Seasons End’ is no exception. Each and every one of the seven other songs are worth hearing. ‘Berlin’ in particular is a bit of a beautiful suite of shifting moods and building intensity. ‘Holloway Girl’ and the surprisingly short ‘After Me’ both start out as moody ballads and gradually turn into something more bombastic, while there are excellent performances by everyone involved all around. Steve Rothery in particular truly delivers. He is easily one of the most tasteful and melodic lead guitarists in contemporary music. Though the singer change would spark an endless “who’s better?” debate, it was exactly what Marillion needed around the time ‘Seasons End’ was released. The album was an essential step in refining their own sound and evolving from their neo-prog beginnings into a truly progressive rock sound that encompasses various influences from the alternative pop and rock field. And even more importantly, ‘Seasons End’ shows that Marillion consists of a group of excellent songwriters that can do more than just play their instruments really well. They can carry a memorable tune much better than many other bands in the genre.